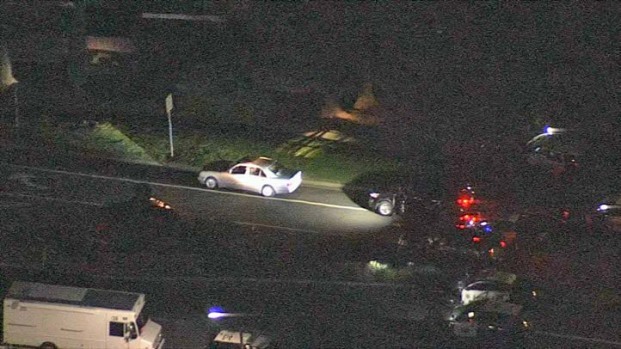 An intense police standoff with a Walnut Creek homicide suspect ended after 18-plus hours on Friday afternoon when SWAT teams fired gas rounds into a car to force the man to surrender. Laura Malpert reports. An intense police standoff with a Walnut Creek homicide suspect ended after 18-plus hours on Friday afternoon when SWAT teams fired gas rounds into a car to force the man to surrender. For a brief period around 1:30 p.m., it seemed that the standoff in Martinez had concluded. 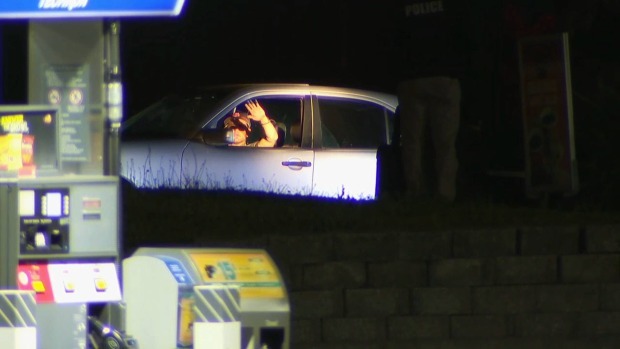 Footage from the scene near Center Avenue and Howe Road showed that the man, who was later identified as 38-year-old Gregory Prokopowicz, had climbed out of the silver sedan with his hands up, but by about 1:45 p.m., he had climbed back in and shut himself into the vehicle. Bystanders heard at least two shots fired, but police said that the sound emanated from a non-lethal sponge round. Around 2:15 p.m., officers fired at the vehicle, shattering the back window. Prokopowicz, who suffered minor injuries and smoke inhalation, then stumbled out of the car with his arms above his head. He was immediately taken into custody and will now face murder charges. Police believe Prokopowicz, with last known addresses in Martinez and Walnut Creek, fatally shot a 47-year-old Roselyn Policarpio, with last known addresses in Martinez and Stockton. The pair had been dating, they said. An hours-long police standoff with a Walnut Creek homicide suspect extended into Friday with the man continuing to hold officers at bay by shutting himself into a car in Martinez. Pete Suratos reports. Boris Breckinridge, a neighbor of Policarpio, said this wasn't the first time Prokopowicz had been under the police's radar. "There was always police activity," Breckinridge said. "(Prokopowicz) was always sort of coming and going. They were always apprehending him." Vilma Cuneo, one of Policarpio's other neighbors, said she spotted Policarpio roughly one year ago hiding in bushes. "I said, 'Can I help you?'" Cuneo said. "She said, 'No, no, no. Stupid guy over there." Late Thursday, Prokopowicz appeared to be holding a gun to his head with one hand while showing police his other hand as he talked with negotiators. Video from the scene showed Prokopowicz firing his weapon overnight. No one was injured. However, by Friday morning, Prokopowicz had relinquished his firearm, turning it over to a robot that was sent to the car by a SWAT team. Howe Road between Vista Way and Pine Street has been closed to traffic while police investigate. Douglas Drive is also being blocked, limiting access to county offices in the area. Residents in the area have been told to avoid the area and John Muir Elementary will be closed for the day, according to the district superintendent. 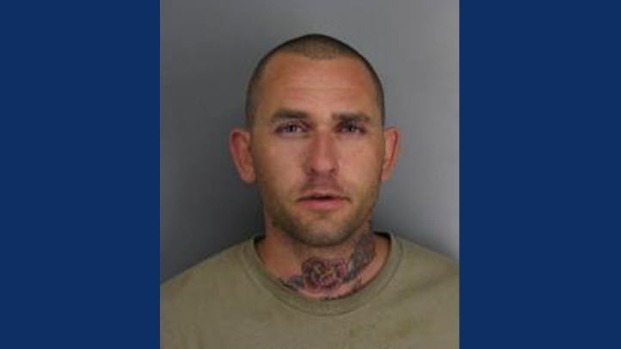 Police searched for Prokopowicz all Thursday afternoon after he allegedly shot and killed Policarpio near the Lindsay Wildlife Experience in Walnut Creek earlier in the day. The fatal shooting occurred at about 1:30 p.m. in the 1900 block of First Avenue, police said. At the location, officers found the victim suffering from multiple gunshot wounds and began providing "life saving measures," but Policarpio died at the scene, according to police. Witnesses told police that Prokopowicz had opened fire, then climbed into a silver Chevy sedan and fled. He fled south on Buena Vista Avenue, witnesses said, and were able to provide officers with a partial license number. In response, police asked residents near Buena Vista Avenue between San Luis and Geary roads in Walnut Creek to shelter in place. Police believe Prokopowicz left his vehicle on Lynvale Lane and ran away. About one hour later, officers located the car. A team of SWAT officers, K-9s and a CHP helicopter scoured the area, and made their way to a house on San Luis Road. The multi-agency team set up a perimeter and closed San Luis Road to traffic. Investigators searched the house on San Luis for any evidence of the crime, but nothing significant was found, police said. Prokopowicz was then picked up there or took a silver Mercedes and fled to Martinez, where he was spotted by two Walnut Creek officers just before 7 p.m., police said. Officers who have been searching for a suspect who allegedly fatally shot a woman in Walnut CreeK were involved in an hours-long standoff with the suspect in Martinez late Thursday. Jean Elle reports. 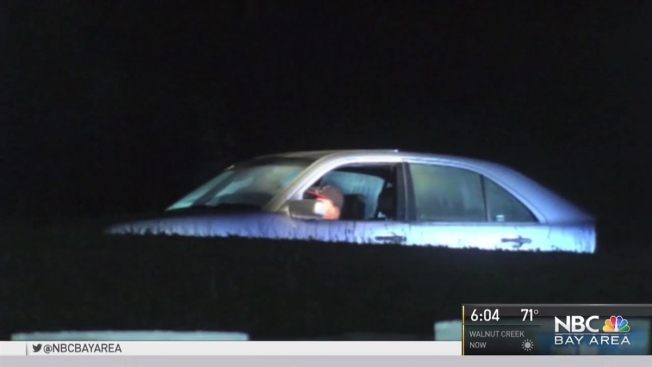 Martinez and Walnut Creek police officers conducted a traffic stop on Howe and Arnold roads at which time Prokopowicz got out of his car, and "was detained, interviewed and later released," Walnut Creek police said in a statement. Instead of leaving, however, Prokopowicz put a gun to his head, refused to leave the vehicle and said he planned to harm himself, police said. Negotiators from the Contra Costa County Sheriff's SWAT team and Central County SWAT team have been taking turns staying on the scene and negotiating with the man. "The negotiations continued throughout the night and are currently occurring," Walnut Creek police said in a statement. "During the negotiations, the suspect accidentally fired his handgun through the windshield. No one was hurt due to this firing." People with information about the case are asked to call the Walnut Creek Police Department at 925-935-6400 or Det. Greg Leonard at 925-256-3523. NBC Bay Area's Jean Elle and Laura Malpert contributed to this report.